If you're looking for a stainless steel oven for a great price, the LG LRG4115ST is one that deserves a closer inspection. With this self-cleaning, freestanding gas convection range, putting hot meals on the table has never been easier. Its design, the wide range of cooking features and ease-of-use garnered positive reviews from many satisfied owners. To help get a closer look at this product, we've thoroughly reviewed the LG LRG4115ST range in comparison with similar freestanding gas range ovens. What Is the Lg Lrg4115St? 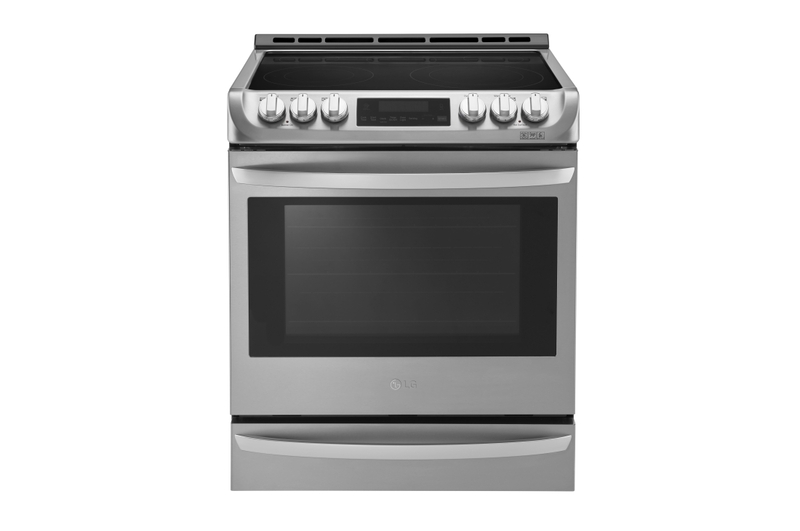 The LG LRG4115ST is a freestanding, 47.3 inch single-oven gas range that comes in a stainless steel finish. With 5 burners, 7 rack positions, and 3 oven racks, it gives you the versatility and capacity that makes cooking your weeknight dinner for your family a cinch. Not only are the burners easy to clean and operate, but they have the potential to provide power ranging from 5,000 BTUs to 18,500 BTUs. 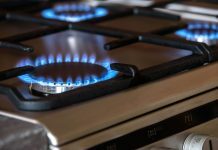 Rest assured, they'll facilitate heating the cooktop quickly and get your water boiling in no time at all. The LG LRG4115ST has a grated cooktop surface that's black coating creates an eye-catching combo with this stainless steel range. This cooktop offers many cooking features as well. Its UltraHeat 18.5K BTU Power Burner gives you the power to cook efficiently and quickly, drastically reducing the heating time to which you may have become accustomed. No longer will you have to reach across hot pans to adjust your burners because this can be performed easily with the ergonomic, tilted front controls. You'll also enjoy the convenience of the 5 high-performance sealed burners for preparing large meals in a short time. There are four expansive burners along the right and left side of the cooktop. Down the middle, you have access to a long oval-shaped grated cooktop. You can use this for making pancakes or for heating a roasting pan. Just set your griddle on top of the central grate and your cooking possibilities are endless. Best of all, the griddle pan comes ​free and it fits perfectly on the oval burner. If you crave melted cheese or chocolate, you also have the benefit of a small 5,000 BTU burner for your simmering and melting needs. Further, the grate setup allows you to slide it in instead of having to lift heavy items. Likewise, the LG LRG4115ST oven is well-built with many useful features. For instance, the LG Probake Convection oven makes it possible for you to cook like a professional at home. With this, you can roast a duck 30% faster than with a standard oven. With a capacity of 6.3 cu.ft, not only can you host the family dinner, but you can easily bake a huge turkey without fuss. The LG Easy Clean feature makes the oven cleaning process child's play, completing the task in just 10 minutes. All of this without exposing yourself to strong chemicals or harmful fumes. One touch and your LG EasyClean does the rest. Below your oven, you have the convenience of a warming drawer. You won't have to reheat or nuke your meals because they will remain warm and ready to eat when you're ready. Also, the sleek SmoothTouch glass controls make operating and cleaning this oven a snap. Let's not overlook the Brilliant Blue interior which is not only attractive but provides an upscale look to an affordable oven. And that's not all, this oven has a super-sized window that allows you to keep an eye on your meal from any angle. The LG LRG4115ST is an affordable option for large families or anyone who cooks for groups of people. This oven is the lowest range reviewed. This stainless steel LG LRG4115ST range can be purchased on amazon.com for around $1400 to $1,420. The LG LRG4115ST oven has a control panel that easy to use and read. 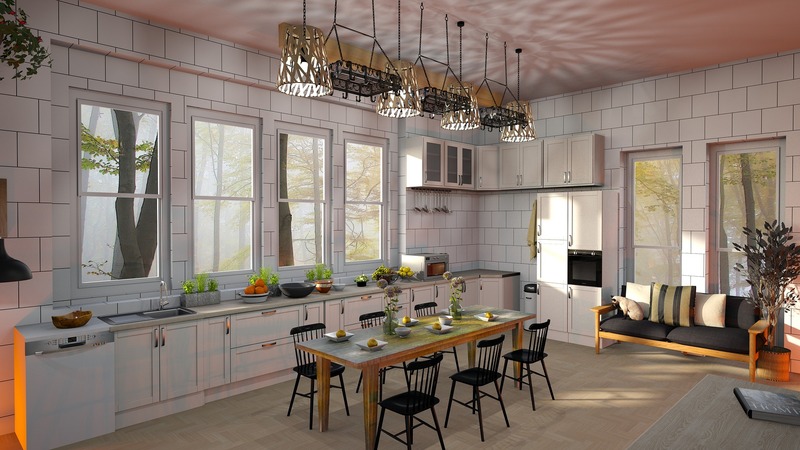 Its customizable oven space makes it a versatile option for hosting large groups or family dinners. It is a versatile and high-quality convection oven. With this LG LRG4115ST model oven, you can enjoy the benefits of a large oven cooking capacity similar to professional level ranges, but in your home kitchen. The LG LRG4115ST has the following dimensions 29 x 30 x 48 inches and weighs 199.5 pounds. It is a freestanding, self-cleaning single oven range. It has 5 large knobs that span the length of the front of the stovetop. The backsplash has a digital panel that displays time, temperature and other cooking details. LG offers a limited 1-Year parts & abor warranty for this product. 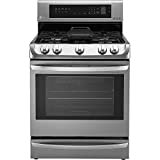 This LG Model LSE4313ST is an electric range that has a single oven slide-in frame. It is a large capacity range with a stainless steel finish. Plus, it offers a sleek built-in look, with a wide-view window. This stainless steel electric range can be purchased online for around $1900 to $2,000. The front tilt control knobs make this over very easy to operate. Plus, the cooktop elements give you the flexibility to match the size of your cooking elements to the size of your cooking pots and pans. The fast boiling cooktop elements couldn't be easier. It is designed with the heating element on the back wall instead of the bottom for better overall heat distribution. This oven has a capacity of 6.3 cu. ft. This is one of the largest oven capacities available. The dimensions of the oven are 37 7/8” x 29 7/8" x 28 15/16", and it weighs 185lbs. The counter depth offers a streamlined look of a built-in oven. The cooktop has four burners and a central warming zone. LG offers a limited 1-Year parts & labor warranty for this product. Large Oven Capacity - 5.8 cu ft. This Samsung offers 5 electric cooktop elements, which includes a Triple and Bridge Burner. At 5.8 cu. ft., this is considered a large capacity oven. It offers many features that take the work out of cooking. 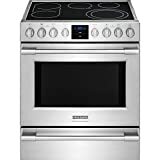 This stainless steel, electric range is not available for purchase on amazon.com, but it can be purchased online for around $1,740 to $1,750. Its glass touch controls with guiding light system offers step-by-step cooking option instructions, temperature controls, and settings. The cooktop is electric ceramic with 5 burners. This dual convection over also used Flex Duo Technology, which gives you the benefit of switching from a single cavity to two smaller cavities. Its slide-in design makes this freestanding range a quick and easy install. It has a large window design with a warming drawer that increases the oven's capacity. The oven is a Flex Duo convection. It measures 29 13/16" x 36" - 37 1/8" (Adjustable) x 26 5/16" and weighs 209 lbs. Samsung offers a 1-year "parts-and-labor" warranty on this product and 5 years on the electric cooktop. This Frigidaire is a 30" freestanding electric range with front control usage. It is stainless steel, with a range that is loaded with features from 2-hour self-cleaning, dual timers, a space-pro bridge element and more. This stainless steel electric range can be purchased on amazon.com for around $1,635 to $1,650. This product is easy to use and does not require programming as with comparable models. The freestanding oven has a wide range of features from Easy Convection Convert to Keep Warm Zone, and powerful preheat which open doors to versatile cooking options. 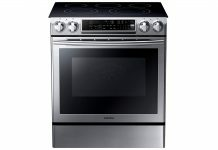 This is a 26 x 30 x 37 inches, 230lb freestanding electric range by Electrolux. It's a professional grade design that has a sleek, smudge-proof stainless design. It's a freestanding oven with the appearance of a built-in. Frigidaire offers a one-year warranty for this product. Additional warranties are available for a fee. All ovens reviewed are stainless steel ranges with a wide variety of features. With prices ranging from a low of $1400 up to $1900, these models are positioned to be comparable to built-in ranges. The dimensions are pretty comparable and each is about 200 lbs. Some were gas and others were electric. On the outside, they may look quite similar, but the biggest differences come with design and functionality. Our most expensive model reviewed was the LG Model LSE4313ST. Being from the same manufacturers, this model offers many of the same advanced features as the LG LRG4115ST. However, one is gas and the other is electric. A head-to-head comparison doesn't show enough value in paying almost $500 more for the LSE4313ST. Next, Samsung is around $200 more but comes with a few customers issues. While it is a beautiful range, customers were concerned with its ability to stand the test of time in terms of appearance. Flex-Duo Technology is a desirable and helpful feature that makes this a versatile option. Unfortunately, its 5.8cu ft oven capacity cannot measure up to the expansive oven space of the LG LRG4115ST. The final comparison was against the Frigidaire Professional. This model was at a price point with a $300 difference. It's clearly loaded with great features, including the convection oven. It also has a comparable oven capacity. Unfortunately, who wants to wait for 2-hours for oven cleaning, when it can be done in 10 minutes? 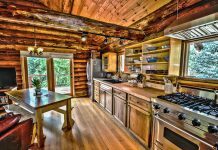 There aren't enough differences to warrant paying the higher cost for similar features. The bottom line, the LG LRG4115ST has so much to offer at an unmatched price. It is our top choice in this review. The LG LRG4115ST oven, is one most preferred oven today because of its oven capacity,gliding oven racks and even heat distribution. It also features a warming drawer and a big window that gives a clear view inside. The downsides of this unit is that it doesn't have a storage drawer and broiling can be slower in this unit compared to its competitors.